What can I expect from my first private dance lessons? First, it is important to think about what you would like to accomplish during your first private dance lessons. Our instructors at Lake Shore Dance Academy value the unique reasons why people being their ballroom dance journey. During your first lesson, we will take the time to understand your vision, and of course, get to know you. Regardless of your goal, here at Lake Shore Dance Academy, we customize each lesson to your goals and needs. 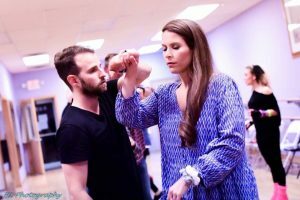 Believe or not, you will be learning couple steps in a few popular social dances during your first lesson, so you will be well on your way to becoming a ballroom dancer! No, you do not need a partner when scheduling your first dance lesson. We practice Professional-Amateur (Pro-Am) ballroom dancing at Lake Shore Dance Academy, which means you will be dancing with your instructor. In group classes, we usually rotate partners. There is a large amount of male and female students at these classes, which is a great opportunity to meet new people and to practice your leading and following skills. What do I wear to my first dance lesson? First and foremost, shoes are the most important item for any dancer. The preferred type of shoe to wear to a ballroom dance lesson is a leather or suede-soled shoe. However, if you do not have leather or suede-soled shoe yet, you can wear a dress shoe. Keep in mind your dance shoe should be fairly comfortable and allow you to glide across the dance floor. Furthermore, make sure your shoes are secure and are in good condition. You probably wouldn’t want your shoe to fly off in the middle of a turn, or have a heel break while dancing backward. It is also important to avoid athletic shoes. Sneakers tend to grip on the dance floor and could injure and/or damage your knees and/or ankles. If you are ready to make a worthwhile investment and purchase your ballroom dance shoes we carry a wide variety at our studio! The type of clothing you should wear to your dance lessons is best understood as business casual. Keep in mind, though, that your clothes should not restrict your movement. The ideal attire for men is a shirt and nice pants/slacks. While the ideal wardrobe for women is a flowy skirts/dresses; nice pants and top. Ladies, it is suggested you avoid spaghetti-strapped and sleeveless tops. There is a lot of twirling in ballroom dancing and you would not want to be constantly distracted by your clothing. It is important to pay attention to personal hygiene. It is likely you will be dancing closely to other couples, and there may be times where you are dancing with multiple partners (which happens at our group classes and practice parties). Strong colognes or perfumes can bother some people, so be mindful of what fragrance you use. Finally, try to have mints in your pocket/purse, so you can use them before and after dancing with fellow dancers at our group lessons and practice parties. What can I expect after my first lesson? At the end of your first dance lesson, you will sit down with your dance instructor and discuss your dancing vision at greater length. We would also begin to craft a customized dance curriculum that will help you reach your goals. Your instructor will also share the next steps you can take in your ballroom dancing journey. Your instructor will recommend private lessons, group classes, and practice parties. Our ballroom dance teachers have found that students who attend all three events accomplish their goals at a considerably faster rate. You will find that the private and group lessons, as well as the practice parties, have a fun and comfortable atmosphere that will make you want to dance for hours! What types of dances do you teach? We teach a wide variety of types and styles of dances. We actually specialize in American and International styles of Ballroom and Latin dances. These styles of dancing can be broken down into social and competitive dancing. Where social dancing is intended for social events like parties and weddings. While competitive dancing is intended for competitions. Here is a list of some of the dances we teach: Salsa, Waltz Tango Foxtrot, Cha Cha Cha Rumba East Coast and West Coast Swing, Hustle, Quickstep, Viennese Waltz, Samba, Merengue, Paso Doble, Jive, and Bolero. For a more detailed list, visit our Dance We Teach page. Do you ever choreograph a first dance for weddings? Absolutely!! We feel utterly honored whenever we are able to be a part of this special journey in your life. When you come in for your first lesson, we have found it best when the couple has a song selected for the first dance. When we know your song, we are able to immediately suggest appropriate dances for that song. If you don’t have a song yet, do not worry, we will suggest a long list of song, where you can pick your special one. We also enjoy adding personal touches to your first dance since each couple is unique, here are some of the examples of beautiful First Dances. For more information, check out our Wedding Dances FAQ page or contact us! Private lessons and group classes are 45 minutes. Practice parties are approximately 2-3 hours long. What if am afraid of looking ridiculous dancing at the studio? At Lake Shore Dance Academy, we have cultivated a supportive community of instructors and students; so there is no need to concern yourself about looking ridiculous during your lesson. Our knowledgeable instructors work with you and your unique skill set. We find nothing better than watching our students become stronger dancers and see their confidence soar. And let’s not forget that many other dancers have had this same worry. If you happen to still have this feeling when you arrive for your lesson, share that with us and we can work together to help you feel more confident when dancing. How many lessons do I need? How frequently do I need to schedule lessons? When you begin your ballroom dance lessons, we recommend scheduling one to two private lessons per week. This will allow you to rapidly build upon what you have already learned. Also practicing at home is strongly encouraged. We can show you how to practice at home. The more you practice the more progress you will make, and your confidence will continue to grow! 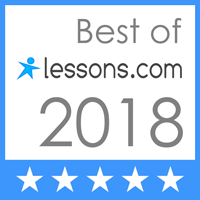 If you know your calendar is a bit hectic, we will work together and figure out the best lesson time for you. How do I schedule a ballroom dance lesson? You can schedule your ballroom dance lesson by giving us a call at 312-945-9619. Or message us through our website. We are looking forward to seeing you on the dance floor to let the dance journey begin!